That’s according to a poll that the Independent TD commissioned himself. 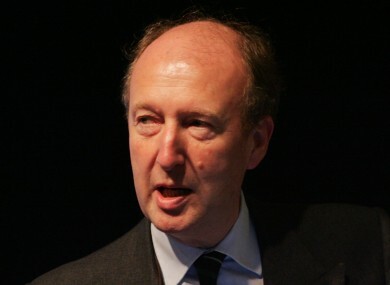 SHANE ROSS HAS come out on top in a new poll as the public’s favourite to lead a new party. Published today in the Sunday Independent, the REDC poll of 1,005 peopel places Ross at 22%, with Lucinda Creighton second at 18%. Former Labour junior minister Roísín Shortall came in at 13%, followed by TD Stephen Donnelly (9%), former Tánaiste and Progressive Democrats founder Michael McDowell (8%), Libertas leader Declan Ganley (4%), and former Fine Gael TD Peter Matthews (1%). The poll was commissioned by Ross himself, but he told RTÉ’s The Marian Finucane Show that it was ‘impeccably independent’ in how it was carried out. “This is just one of the many findings they had,” he said. As previously reported, Ross is in talks with independent TDs in the Dáil and also independent councillors to gauge interest in forming a new party. He told RTÉ today that he believes the appetite is there for something that ‘changes the political system so radically that its unrecognisable’, saying that the Civil War parties have abused the current system. However, he said that Creighton isn’t exactly in line with his plans for a new party. The Irish Times reported yesterday that she sent out invites to a meeting on a new party, rumoured to be launching in April. Who would you like to see leading a new political party? Let us know in the comments below. Email “Shane Ross is the current favourite to lead a new political party”. Feedback on “Shane Ross is the current favourite to lead a new political party”.